Blessed with smooth stunning sandy beaches, Mui Ne rapidly becomes a must-visit beach escape as well as the most relaxing place in Vietnam. 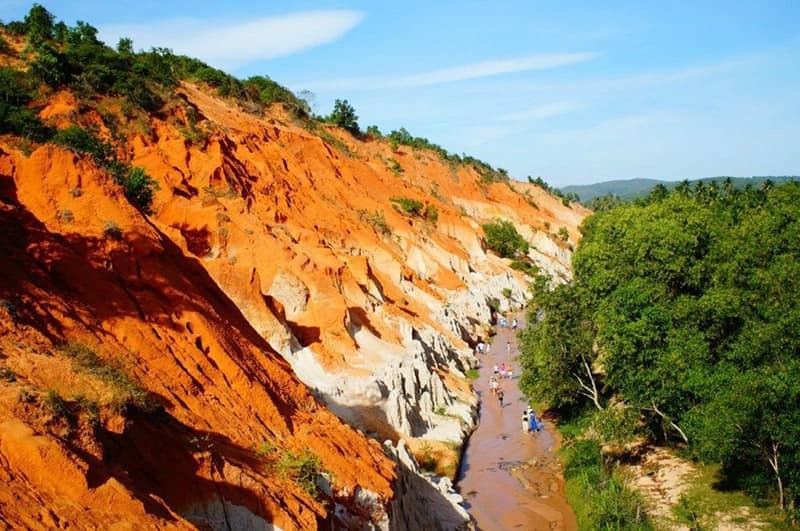 Once coming to Mui Ne, you should not miss visiting the Fairy stream as one of the most attractive sightseeing place in Mui Ne. 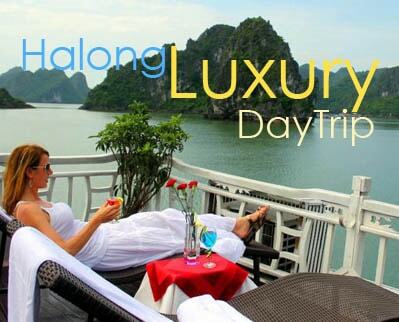 Mui Ne is located in Phan Thiet city which is about 200km far from Ho Chi Minh city. Mui Ne attracts tourist not just by pristine and untouched beauty but also thanks to its smooth sandy beaches, delicious seafood, turquoise water, enormous sand dunes and the Fairy stream. 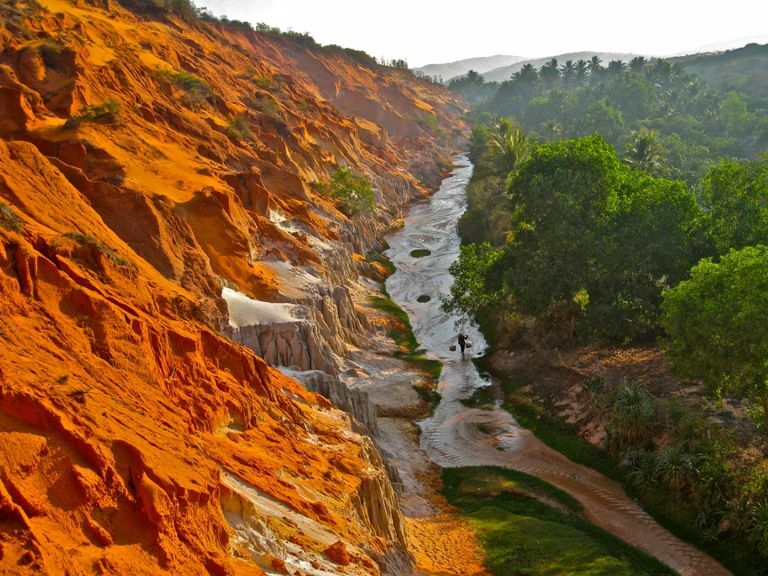 The Fairy stream in Mui Ne is and ankle deep stream that flows through bamboo forests, boulders, and flanked by a mix of white and red sand dunes behind Mui Ne. Fairy stream is mentioned as one of the must-visit destination for tourists to explore the unique beauty of this place. 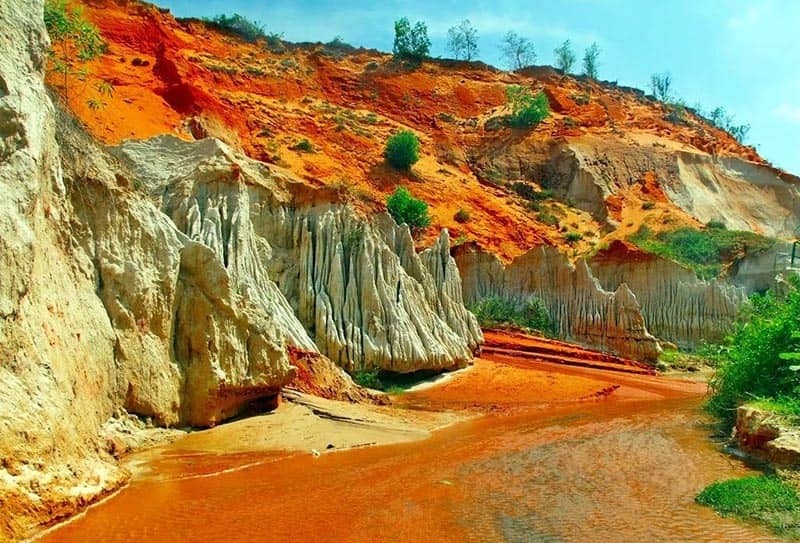 This stream is also known as “Suoi Tien” in Vietnamese which has the red color, one side of this Fairy stream is white and red sand dunes intermixing together while the other side is an expansive field of trees, coconut palms and many flowers. All of these things provide a poetic and charming for this stream. For the most part, the stream is not a swift flowing stream but it runs gently. The water level is about ankle-deep and no more than knee-deep even at the deepest place. That is the reason why most of tourists are encouraged to take off their shoes or slippers to walk in bare feet and follow right along the creek-bed. After you go bypass about 400 meters, the fairy stream will appear in front of your eyes. You will have chance to sightseeing some sand pillars carved with the water. Along the stream, you can have the opportunity to contemplate imposing mountains, hills and some huge reliefs which are changeable depends on flows of water. It’s surreal fairy world. 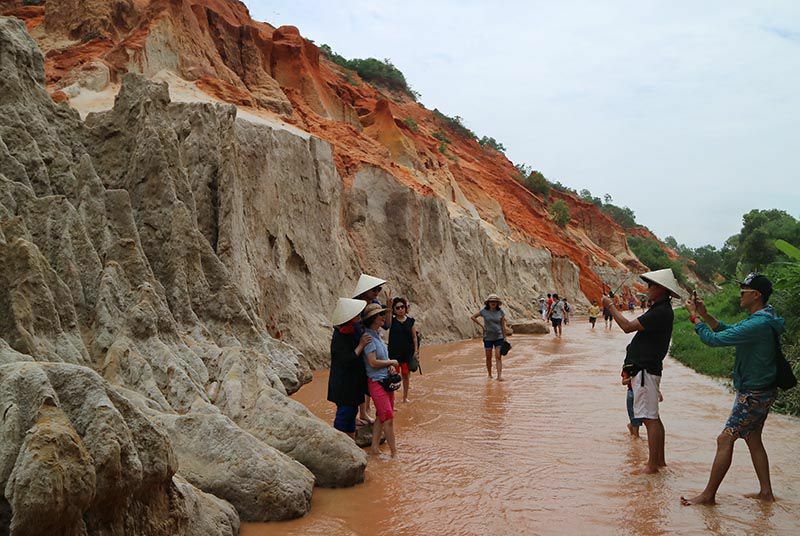 Mui Ne, as well as the Fairy stream is highly recommended as the most relaxing place in Vietnam to get away from the hot weather of Saigon, Ho Chi Minh City. Traveling to Mui Ne you shouldn’t miss a visit to the Fairy stream to explore the unique pristine beauty of nature here which makes this attraction become one of the most unique place in Vietnam as well as an ideal destination for photography travelers.